Looking for a few people to join my Danganronpa Cosplay group!! We have a Kirigiri, Celestia, and a Monokuma so far, and we'd love to have more people join and hang with us this year! We may be going to a Motercity Con as well, depending on how tight cash is- everyone in the group will be 16 or older at the time, so please keep that in mind. Are you going to be cosplaying just from Danganronpa 1? I'm only going to be cosplaying Kirigiri, unless I can find the money to be able to afford more than Kirigiri, but I don't mind cosplaying with people who decide to cosplay from the other games. I was thinking of cosplaying Ibuki from DR2 will there be a group of you as Kirigiri and a cosplayer as Monokuma and one as Celestia? 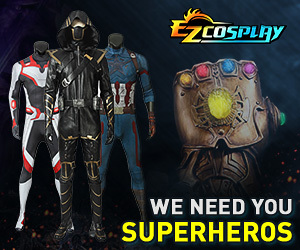 Do you have an email where I could maybe contact you and perhaps the other cosplayers? My Email is [email][email protected][/email]. Feel free to message me here, so we can discuss a but more freely, since I'm not always on Cosplay.com. I do actually cosplay Monokuma, it just simply crossed my mind at the time. Oh shoot! I just sold my Asahina cosplay &#55357;&#56877; If you end up adding SDR2 characters then let me know!